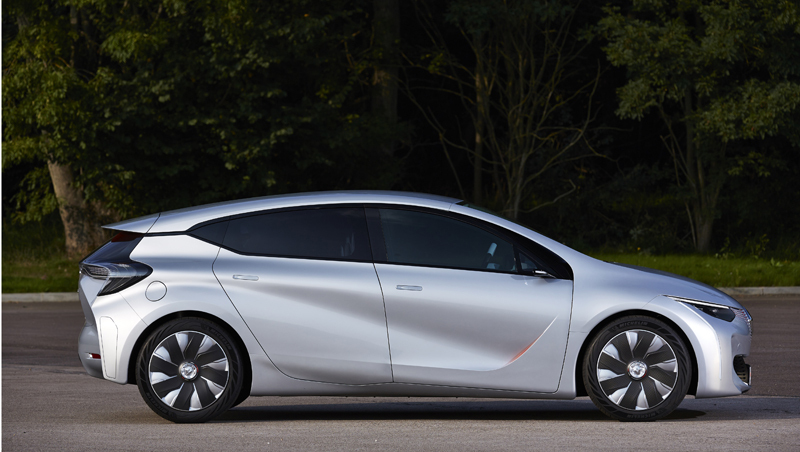 Renault's latest engineering brainchild, EOLAB, brings a fine demonstration of our capacity for innovation. 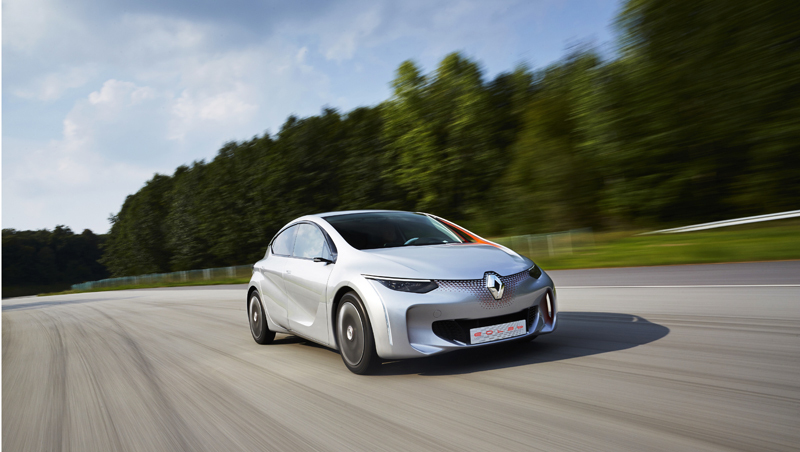 As well as boasting record fuel economy of just 1 litre per 100 km, it implements a hundred or so of the advanced technologies that Renault cars will be offering motorists in the years to come. The EOLAB prototype is a major engineering feat in automotive innovation. It is built on a B-segment vehicle platform and integrates around a hundred engineering innovations as well as achieving extremely low fuel consumption of 1 litre per 100 km (for a CO2 emission of just 22 g per km on an NEDC* combined cycle). EOLAB weighs around 400 kg less than an ordinary B-segment vehicle. Excess weight was rigorously trimmed down across the whole vehicle: body, drivechain, equipment, etc. The multi-material body combines steel, aluminium and a magnesium roof that weighs just 4.5 kg. Much lighter weight means that much less fuel is needed to move the car, and that vehicle subsystems (engines, batteries, brakes, etc.) can be made smaller; lightweight design is very much a virtuous circle. The cost savings achieved by downsizing the car's mechanical subsystems were used to finance high-performance materials (aluminium, magnesium) with no increase in overall cost. The idea was to produce a prototype that offered advanced technologies within an economically realistic production scenario. Great attention was paid to streamlining the EOLAB body outline, and aerodynamic performance is further improved by moving parts such as the side flaps, which act as fins. The better the aerodynamics, the better the fuel economy. Renault's innovative ZE Hybrid rechargeable technology, which combines a petrol engine with an electric motor in a compact vehicle format, gives 60 km of distance under true zero-emission** conditions (like an electric vehicle). 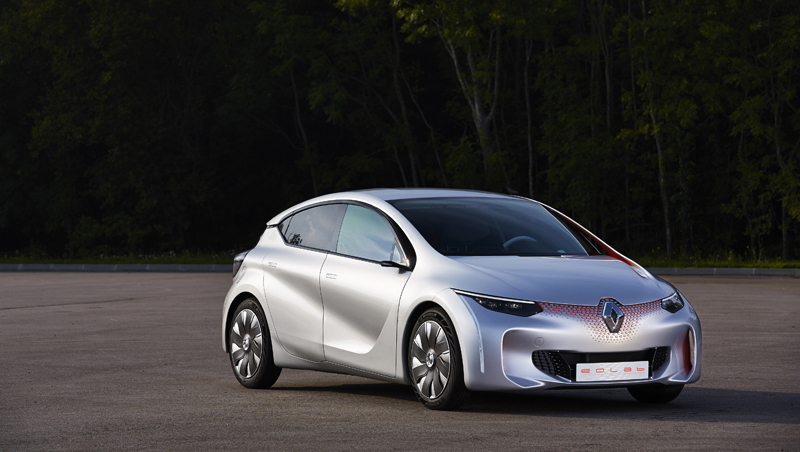 True to Renault's stance on affordable technologies, feasibility was a key factor throughout the EOLAB project. So as well as extraordinary fuel economy, the concept car would also have to offer the sort of all-round performance that customers demand, as regards comfort, roadholding, interior space, perceived quality and styling. The development approach was therefore technically and economically realistic. EOLAB would have to offer performance comparable to that of a modern vehicle, as well as showcasing advanced technologies capable of carrying over to volume production in the years to come. EOLAB addresses one of the projects in the French government's Nouvelle France Industrielle plan on renewable energy resources, namely the 2020 deadline on affordable vehicles with fuel consumption down to 2 litres per 100 km. 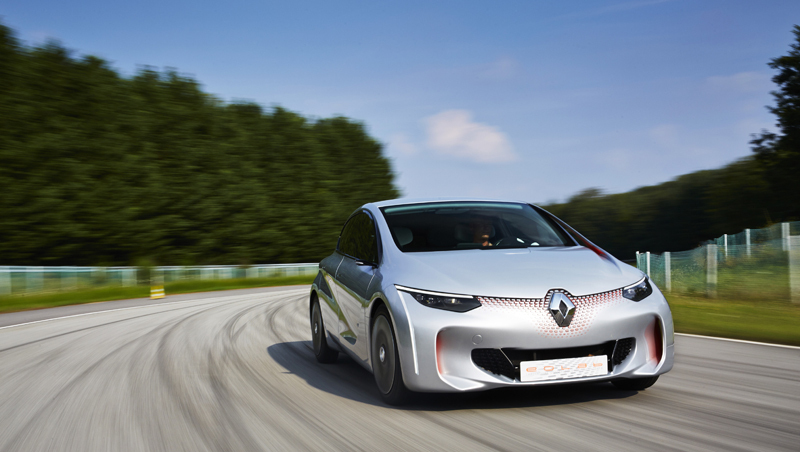 With this prototype, Renault is testing out some of the technologies capable of meeting this ambitious goal. 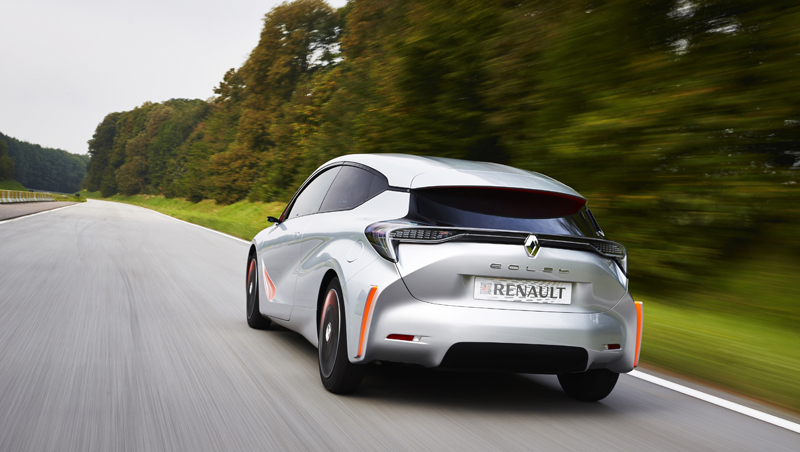 Renault designers worked hand in hand with our engineers to breathe life into the EOLAB concept car, styled to exude the virtues of lightweight, streamlined design. Just a couple of weeks now, and you'll be able to see it for yourself in real life at the Renault stand at the Paris Motor Show in October!